The size of the invitation shown is 5" x 7"
4" x 6" invitation size option is available upon request ONLY during checkout. Please leave a note in the "Note to stockberrystudio " message area during checkout if you want a 4" x 6" invitation instead of a 5"x"7" at no additional cost. The 4" x 6" size change most be stated during checkout or an additional fee will be apply if stated after checkout. No COLORS, FONTS AND LAYOUT (changing the entire design format) modifications are included when you purchase. The invitation is available as shown. Any modifications to the invitation colors, font and layout will result in additional fee. Please send an Etsy conversation message if you have any questions regarding color changes and fees. If you need your invitation sooner then 1-3 BUSINESS DAYS please send an Etsy Conversation message to receive a rush order quote and availability BEFORE you purchase. STEP THREE: When you add the invitation to your cart please type the wording/information you will like to have in the "Note to Seller" section during checkout. Please also TYPE in the "Note to seller " section during checkout you want a 4" x 6" invitation instead of a 5" x 7" this most be stated during checkout or an additional fee for size change will apply if it's stated after the order is completed. STEP FIVE: Your invitation will be sent to you within 1-3 BUSINESS DAYS (BUSINESS DAYS are MONDAY - FRIDAY United States & Eastern Standard Time) after your payment is completed VIA ETSY CONVERSATION with a link to download your order. If you submit the text later then the day you purchase it's 1-3 BUSINESS DAYS whenever you submit the text. You can print your invitation at home, online printer, printshop, photolab or an office supply store. When you receive your invitation via Etsy conversation please reply back with any text changes. Time frame for text revision are another 1-3 BUSINESS DAYS whenever you submit them. You will receive only two rounds of text changes per invitation order. Question: Do I provide print services? Answer: No I currently don't provide print services but I can recommend a great printer to you. Question: Do you have any print company suggestions? Answer: Yes, Overnightprints, Gotprint, a local printer or an office supply store. Question: Can I print more then one copy? Answer: Yes you can print as many copies as you may need. Question: Can the wording be changed and is it an additional fee? Answer: Yes the wording can be changed for no additional fee. 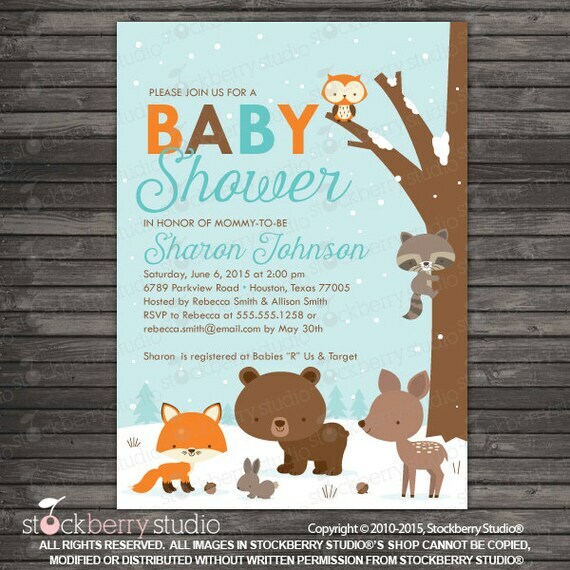 STOCKBERRY STUDIO SHOP, PRODUCTS, INVITATIONS, CLIPART, PAPER PACKS AND PRINTABLES are protected by US copyright laws, and EVERYTHING LISTED belongs to STOCKBERRY STUDIO. You may DOWNLOAD the invitation and REPRINT it for non-commercial, non-public, personal use only. You may not manipulate or alter in any way images or other Content in this shop without specific permission from STOCKBERRY STUDIO the copyright owner. No file sharing, reselling, commercial use, mass production or modifying files. You may not resell the invitation as a digital or a printed product.